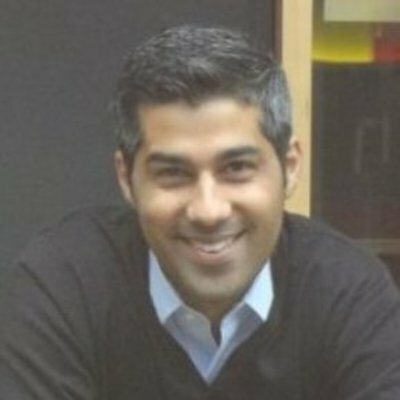 Kabir Shahani is a technology entrepreneur, investor, and company advisor. Most recently, Kabir is the Founder & CEO of Amperity, an early-stage software company working to address the most pervasive challenge facing consumer brands today. Former to this role, he was Vice President, Technology and Applications at IMS, where he was responsible for the company’s commercial software business, operating in over 100 countries. Prior to IMS, Kabir served as CEO of Appature, a leading SaaS company he co-founded in 2007 and was acquired by IMS in 2013. At Appature, he led the development, go-to-market strategy, and operations and execution for the company’s Nexus software platform. The company boot-strapped its first three years of operations, before ultimately raising venture capital, which enabled Appature to more than double consecutively each year and ultimately be acquired by IMS. Fueled by an engaged, entrepreneurial culture, Appature was cited as one of “Washington’s Best Places to Work” in 2011 and 2012. With more than a decade of experience in the software industry, Kabir has held a variety of roles in product development, program management and general management at Blue Dot, Inc., a social media content syndicator; and at Avanade, a joint-venture of Microsoft and Accenture. He was named a top “30-under-30 technology entrepreneur” by Bloomberg BusinessWeek, “One of the 100 Most Inspiring People in Pharma” by PharmaVoice Magazine, and “Young Entrepreneur of the Year” by the U.S. Small Business Administration. A thought leader in information sciences, Kabir holds a U.S. patent for Healthcare Marketing Data Optimization Systems and Methods. Kabir holds a B.S. degree in Informatics from the University of Washington and a Certificate from Kellogg School of Management’s Advanced Management Program (AMP).